The Crypto Winter has been happening for the longest time. Buzzes and rumours have circulated in the media saying that the 2017–2018 blockchain craze may actually be just another hipster trend. Some businesses interested in joining the technology trend had become skeptical, while some are still trying to make sense of the whole crypto tragedy. To clear the cold winter air, the current crypto winter is not a discouragement to engage in blockchain, because it is not a stormy weather that hits enterprises. 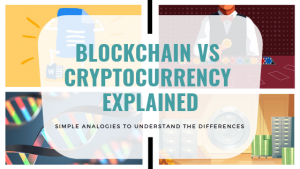 Businesses should understand that blockchain and cryptocurrency, though strongly related, are two different things. In consequence, crypto winter will not affect the potential growth of blockchain businesses. Blockchain is a technology, while cryptocurrency is its first world famous application. This distinction points to the fact that blockchain’s values are not defined by cryptocurrency market. Take a short 3 minutes to understand this basic difference from these 4 simple analogies. Businesses should not miss out on growth opportunities by using the available technology of the time due to technical misconception. 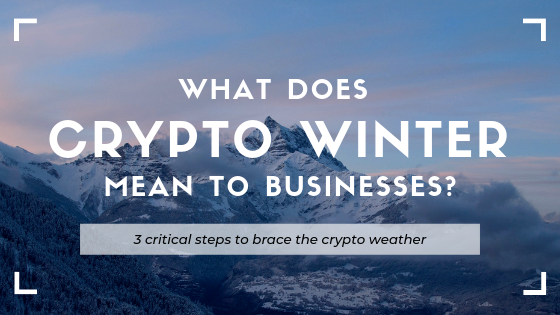 Crypto winter is exclusively representing the world of cryptocurrency. Blockchain, the technology driving it, can not be represented by this same market condition, because the two has different ways of measuring their value. Coins have been brought to the attention of the general public because of their speculative investment value. 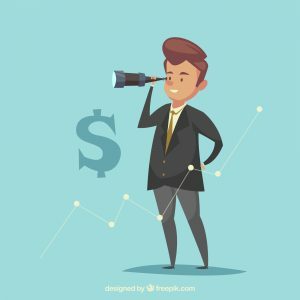 A lot of people, especially after the rise in bitcoin prices in 2018, view them as investment opportunities, thus driving the volatile nature of the crypto market. 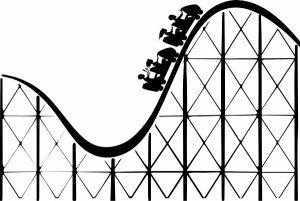 Learn more why the crypto market is extremely volatile. While the value of a cryptocurrency is measured by its store value — prone to speculation— blockchain’s value is measured by the specific utility of its projects. Blockchain and decentralization are more grounded in the value of the dApps it supports. For that reason, the core value of a blockchain cannot be found by looking at its trading volume or similar indicators, but instead in the applications that can be built on top of it. We need to go back to fundamentals and create products with added value. Principal Strategic focuses on just that: pinpointing the most value-adding application of blockchain technology for our clients. We pivot our holistic marketing efforts into clients’ unique selling point. As mentioned, cryptocurrency is merely an application running on top of a blockchain. This means that businesses can leverage all the advantageous features of blockchain technology in various ways. Therefore, blockchain platforms can actually exist without the use of coins/tokens system. Although the model may change in some way, it is still possible to build a valuable platform. In some cases, coin-less platform can even be more appealing. With a coin-based model, the incentive is clear. People who provide value to the system are rewarded with coins that increase in value as the system improves. However, without coins, the alternate economic incentive for people to participate could be the streamlined process or other additional values. Leveraging on blockchain technology always generates an added value of its collaborative feature around a use case. Its power lies in reducing inefficiencies and transaction costs or removing roadblocks when multiple parties transact with each other. Therefore, businesses can create this experiential incentive of cost savings and new business opportunities for participants to use the platform. The travel industry is a good case study how an experiential incentive can be a huge appeal to modern consumer behavior. In a coin-based model, volatility, securities laws, and taxes are all added complexities to take into account. The past series of bitcoin price crash is already a visible evidence of the inherent complications of cryptocurrencies. In contrast, using a coin-less blockchain model provides more stability for customers & investors, because its value is inherent in the ecosystem. Fiat currency that’s used for transactions offers much less volatility and that stability may be attractive to some participants. As you can see, blockchain platforms that don’t use cryptocurrencies offer a different path forward that can appeal to certain parties. This means if you aren’t well-versed in blockchain technology and the crypto space, it is well worth digging further before getting involved in any blockchain project. Start with this guide. Although 2019 is speculated to be a year of long crypto winter, it is sunny and bright at the blockchain world. Smart blockchain projects are already headed in the right direction. Market adoption of dApps (decentralized apps) are expected to be happening soon. Statistics from State of Dapps have confirmed this trend as it recorded the monthly dApp development to be up 182% since December 2017. Big enterprises that have used blockchain will make way for an exponential growth of blockchain use cases in various industries. 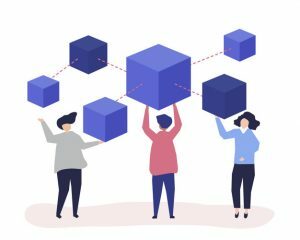 If you want to learn more about the uses of blockchain technology, here is a thorough guide to determine whether or not your business should apply blockchain.